I opened iTunes this evening and what did I see? An update to an app that I had done a review on last week. 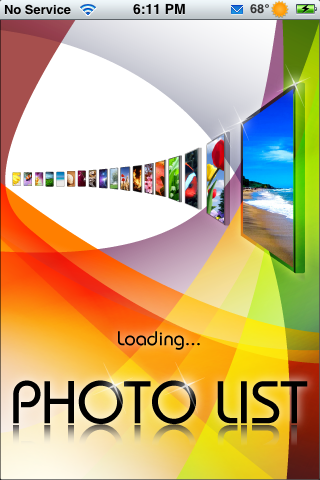 It was the PhotoList app by Raisix Inc. (click here for the review) I was interested to see what they had updated and I was hoping it wasn’t just stability issues as most updates are. 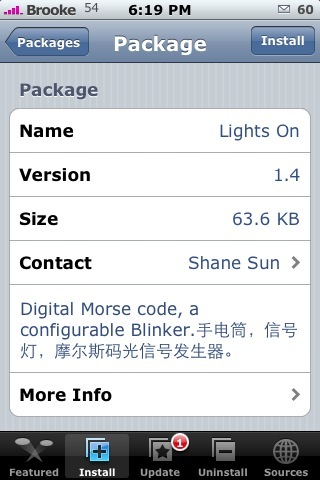 But to my surprise they had added a new feature to the app…Facebook integration!! Now that is cool. The Facebook integration allows you to do two things: Upload and Download photos to and from your personal Facebook account. Sally’s Spa – The Game Every Girl Needs! 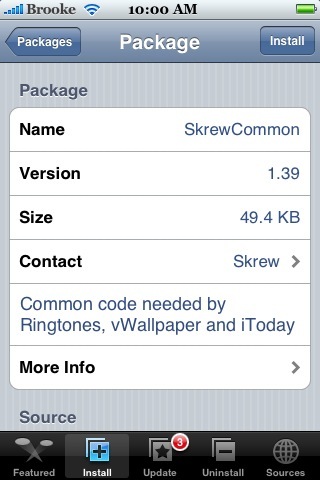 Many sites are posting about Apple doing a preview of the iPhone 3.0 firmware next Tuesday. Of course there are all kinds of ideas about what they will be announcing. I’m really waiting for the notification system that functions kinda like a SMS message that developers can use to push notifications to your iPhone. Examples like AIM message notifications, Ebay outbid notices, Twitter updates, News & Sports Scores Alerts, Woot-Offs, Weather Alerts, etc. This will bring the iPhone to another level. For the first time since enabling the WeatherIcon status bar icon mod…I actually needed more space on my status bar! This past week-end, I noticed that I had a new email icon, a missed phone call icon, a missed text icon, a silence icon, the weather temp icon, the weather type icon and the battery icon all on my status bar. I also noticed that my silence icon was overlapping the time on my status bar because I had run out of room to the right of it! Last month…I wrote an article about a mod called No Clock. 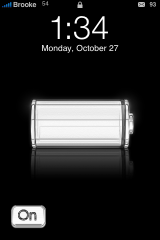 This mod actually removes the clock off your status bar. So, I gave it a shot. It worked…I could see all my notification icons on my status bar but, I missed having the clock! 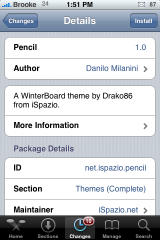 Pencil is an interesting WinterBoard theme that came out this week-end. 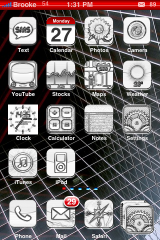 It does quite a bit of modding including icons, slider bars, keyboard, splashscreens, SMS bubbles…etc. 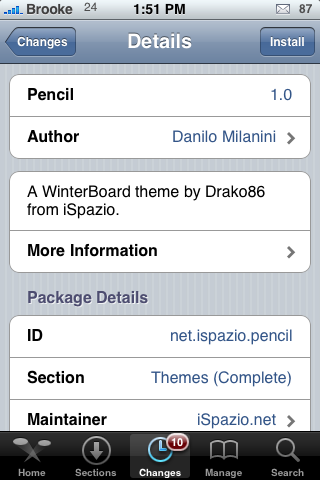 Pencil is avilable via the iSpazio source.